Bayside Employee Health Center is recognized for its high quality medical care and dedication to providing a comprehensive occupational service model for the area's workforce. 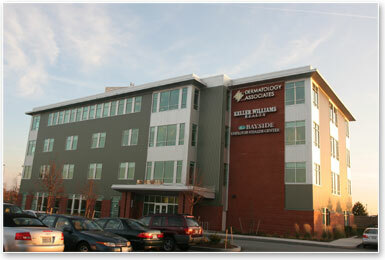 Physician founded in 1999, we remain entirely physician owned and led. Our board-certified physicians, Susan Upham, MD, MPH (Occupational Medicine) and Jane Glass, DO (Physical Medicine and Rehabilitation) not only oversee the medical practice, but also provide direct care to patients as well. Our mission is fourfold - to provide excellent medical care to injured workers, to reduce unnecessary costs to employers and their employees through effective care practices, prevention and education, to provide excellent customer service, and to insure that compliance criteria are met for regulated services. Our services meet the majority of a company's occupational health needs. These include injury care, fitness for duty evaluations, DOT examinations, OSHA mandated preventive examinations, preplacement examinations, functional testing, onsite and tailored stretching programs, drug screening, MRO services, ergonomic evaluations, second opinions, independent medical examinations, permanent impairment ratings, physical and occupational therapy, and physical & rehabilitation medicine specialist treatment for complex musculoskeletal cases. In house diagnostic services include radiology, EMG testing, BTE functional testing, pulmonary function testing, audiograms and phlebotomy. We bring a partnership model to the management of injured workers. We are available and listen to the concerns of all involved parties. We are committed to offering conservative, individualized medical care for injured workers combined with a business minded approach that values excellent communication and support of early return to work. We believe that this is a key characteristic of our practice that positively impacts the medical outcomes of our patients.